Most land plant species enter a mutual symbiosis with arbuscular mycorrhizal (AM) fungi to improve nutrient acquisition from the soil. In return, we recently showed that up to 20% of host plant photosynthate is transferred to the mycorrhizal fungus in the form of lipids and sugar (Jiang, 2017 Science; Wang, 2017 Molecular Plant). Nutrient exchange must be regulated by both partners in order to maintain a stable symbiotic relationship. However, the mechanisms that regulate lipid transfer from plant to AM fungus are elusive. Here, we show that MtAP2 transcription factors are master regulators of AM symbiosis by controlling lipid transfer and periarbuscular membrane formation. For instance, MtAP2.1 binds to A-box cis-regulatory elements in promoters of the lipid transporter STR and P transporter MtPT4 in M. truncatula. MtAP2.1 mutants displayed impaired arbuscule formation, whereas overexpression of MtAP2 activates FatM, STR andMtPT4, suggesting that MtAP2.1 controls bidirectional nutrient exchange in AM symbiosis. Finally, we showed that MtAP2.1 and RAM1 regulate each other at the transcriptional level, forming a positive loop to orchestrate bidirectional nutrient transfer between two symbionts. Our data suggest a role for MtAP2.1 in controlling lipid transfer and periarbuscular membrane formation via regulation of fatty acid biosynthesis and transporter genes in arbuscule-containing cells. Professor Wang is interested in the genetics, biochemistry and cell biology of two symbiotic interactions of plants: One is the arbuscular mycorrhizal association that helps the host plant to uptake nutrients from the soil and is especially important for plant acquisition of phosphate and nitrogen. The other is the rhizobial symbiosis that provides a source of nitrogen to the host plant. In addition, he proposes to transfer our knowledge of the nitrogen fixation symbiosis into agronomical important food crops such as maize and rice to increase nutrient using efficiency. 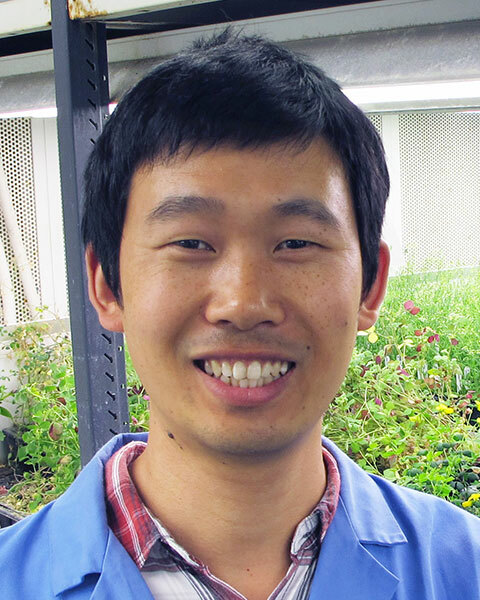 Bio: Professor Wang is interested in the genetics, biochemistry and cell biology of two symbiotic interactions of plants: One is the arbuscular mycorrhizal association that helps the host plant to uptake nutrients from the soil and is especially important for plant acquisition of phosphate and nitrogen. The other is the rhizobial symbiosis that provides a source of nitrogen to the host plant. In addition, he proposes to transfer our knowledge of the nitrogen fixation symbiosis into agronomical important food crops such as maize and rice to increase nutrient using efficiency.